What should this disease be called? Should a physician convicted of war crimes against people under his care be honored by calling a disease after him? Reactive arthritis is also known as Reiter’s Syndrome, arthritis urethritica, venereal arthritis and polyarteritis enterica. It is an autoimmune condition that develops in response to an infection in another part of the body (cross-reactivity). Bacterial infections often trigger the disease. Reactive arthritis has symptoms similar to various other conditions collectively known as “arthritis”. By the time the patient experiences symptoms, oftentimes the “trigger” infection has been cured or is in remission in chronic cases. The manifestations of reactive arthritis include the following triad of symptoms: an inflammatory arthritis of large joints, commonly including the knee and the back (due to involvement of the sacroiliac joint), inflammation of the eyes in the form of conjunctivitis, which is inflammation of the outer layer of the eye, or uveitis, which is inflammation of the middle layers of the eye, and urethritis in men or cervicitis in women. Patients may also have lesions on the mucus membranes of the skin, as well as psoriasis-like skin lesions. There may also be inflammation where the Achilles tendon attaches to the heal bone, resulting in heel pain. Not all affected persons have all the manifestations (Source: Mayo Clinic). The question of what to call this syndrome stems from the fact Hans Conrad Julius Reiter (February 26, 1881 – November 25, 1969), who was a German physician, described the syndrome in 1916. Reiter was not the first person to describe this condition but he was an energetic and long lived self-promoter, and the name Reiter’s Syndrome eventually caught on. Slave labor at Buchenwald Concentration Camp when it was liberated by the Allies in 1945. 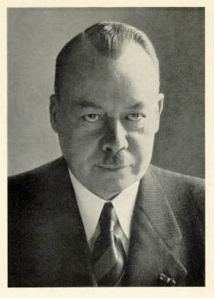 Reiter was also an enthusiastic supporter of the Nazi regime. He wrote a well known book on racial hygiene. He designed typhus inoculation experiments that killed more than 250 prisoners at concentration camps, like Buchenwald. 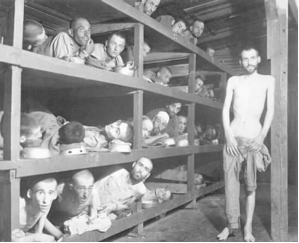 He was later convicted of war crimes for his medical experiments at the concentration camp at Buchenwald. In 1977, appalled by his war crimes, a group of doctors began a campaign for the term “Reiter’s Syndrome” to be abandoned and renamed “reactive arthritis.” In the last few years, the campaign to change the name to reactive arthritis has met with considerable success. 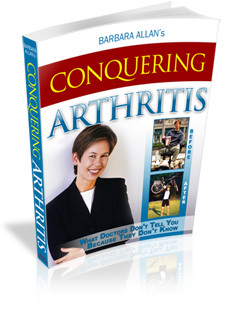 Personally, I already favored the term reactive arthritis, because I found that it enabled me to get better medical care. Now, having recently learned more about the name change campaign, I have one more reason to favor the name reactive arthritis. Thank you to Don Taylor who recently wrote me about Dr. Reiter’s history, of which I was previously unaware. Listen to this article below! Good for you for posting this and trying to bring this information to light!! I agree. I think it should be called reactive arthritis.